Ready to see what being #DunwoodyDetermined is all about? Come visit our campus! We have many different options for you to tour our campus. Set up a personalized tour on a day that works for you! 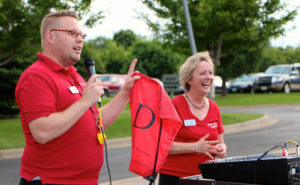 Contact our Admissions Team at 612.374.5800 or admissions@dunwoody.edu to schedule a time. Guests are welcome! 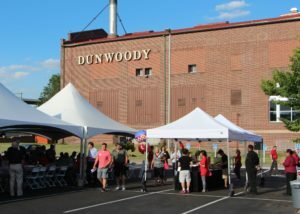 Dunwoody holds open house events nearly every month! Here, prospective students and their guests can explore career options, tour campus, meet with faculty, and learn about applying and paying for college. Learn more. Each summer, Dunwoody holds several weeklong summer camps. Camps introduce students to STEM careers and hands-on learning as well as specific Dunwoody program areas. Check out our Summer 2019 camps. We hold several events on campus each month—many of which are open to the public. View upcoming events. We welcome industry partnerships and love connecting with alumni and friends. Learn about the many ways you can connect with us by visiting our Industry Partners page or our Alumni and Donors page. We welcome opportunities to showcase our unique spaces to schools, organizations, and large groups. To schedule a group tour, please follow the directions below. Tour #1: includes a visit to each of our major program areas and lasts about 60 minutes. Tour #2: includes a visit to each of our major program areas as well as an information session that further highlights the features, benefits, and financing options for students who select Dunwoody as their college of choice. This tour lasts approximately 90 minutes. Please limit group participants to high school juniors and seniors during August – December and high school sophomores, juniors, and/or seniors January – May. Please limit group size to 45 students or less. Please have one chaperone for every eight students. We ask that chaperones accompany their students on all parts of the tour. Please note we require a 30-day notice when scheduling a tour and a 48-hour notice of any cancellations or modifications to the arranged time. If you would like to speak to an admissions counselor directly, please call 612.374.5800.